The rotor blades are aerofoils that provide lift and, unlike fixed wing aircraft, they can do this without needing to move forward. This means helicopters are ideally suited for flight operations in areas in which there is no usable runway. In addition to the single main rotor there is a tail rotor, or a device designed to fulfil a similar function, that prevents the helicopter simply spinning around the rotor blade. The tail rotor provides a force, which works against the direction of the torque produced by the main rotor blades. Dual rotor head helicopters overcome the torque force by having the two rotor heads spinning in opposite directions.Some rotor blade systems can move between the horizontal and vertical plane depending on the stage of flight. These are found in the tilt rotor aircraft. The rotor blades fulfil two functions. Described in a simple way, they provide both lift and thrust. The configuration of the rotor blade will depend on the design of the helicopter and the purpose for which it is to be used, as well as the overall weight. Some helicopters have a single rotor head with 2 blades, some have four blades and some helicopters have two-rotor heads. Commercial development of a reliable helicopter design came quite a while after fixed wing aircraft. Helicopter design in the early days of powered flight was hampered by the weight of fuel and materials and it was not really until the middle of the 20th Century that designs and suitable materials came together to produce a machine that could reliably hover and land safely in the event of an engine failure. On a standard rotary 'wing' aircraft the rotor blades are attached to a hub, which is further attached to a mast. The mast is a shaft that is rotated by power from the engine. There are a number of different ways of attaching rotor blades to the hub and these are described as rigid, semi-rigid or fully articulated depending on the design. It should be noted that some helicopters are designed with a combination of rotor blade types. The simplest of the rotor head designs is the rigid system where there are no hinges about which the rotor blades can move but the blades themselves do flex and bend to accommodate the different forces found in flight. A semi-rigid system employs rotor blades that are fixed to a hub and the hub is hinged to the mast, which allows a tilting movement. Some airborne manoeuvres are not permitted in this type of helicopter design as they can lead to the rotor head shearing off the mast. The fully articulated rotor head allows each fully hinged blade to move independently of the others. The design of a fully articulated rotor head and rotor blade is incredibly complex with articulations built in to compensate for all forces found in flight. This type of arrangement is found in large or performance helicopters. It is expensive to maintain and repair when anything goes wrong. The complexity of helicopter design makes the engineering expensive and this additional cost passes all the way down the chain to the end user. 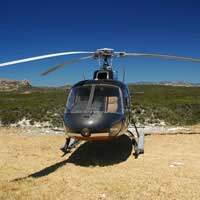 To learn to fly a helicopter is at least double the cost of learning to fly a fixed wing aircraft. However, many argue that helicopters put the fun back into flying, allowing hovering as well as take off and landing in areas not available to fixed wing aircraft.